Store your slides securely with a minimal surface footprint. 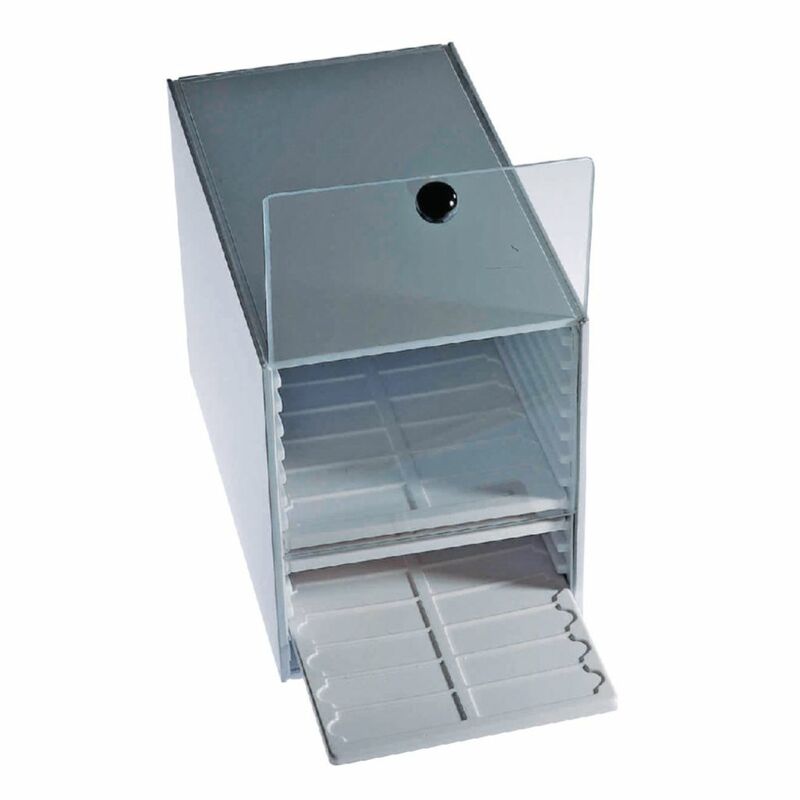 Our polypropylene microscope slide tray cabinet holds up to 240 slides total. It can accommodate 12 horizontal slide trays in all. The clear acrylic door slides vertically. Slide trays are available separately.